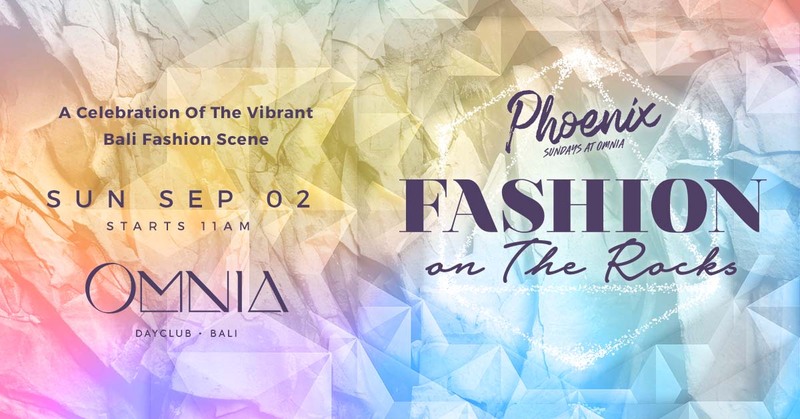 The worlds of music & fashion collide with the inaugural FASHION ON THE ROCKS event at OMNIA Bali. Showcasing Bali’s leading and emerging designers and labels, Fashion On The Rocks is a daytime celebration of style & music. A selection of the islands leading labels will walk the OMNIA catwalk whilst upcoming designers and brands showcase their talents throughout the venue, creating a day of fashion happenings on the epic elevated plateau of OMNIA Bali. Sounds will be provided by Bali’s finest DJs playing disco, funk and house, joined by headliner & Bali favorite @ ALI LOVE, playing a distinctive DJ and live vocals set as the sun sets over the Uluwatu Cliffs.